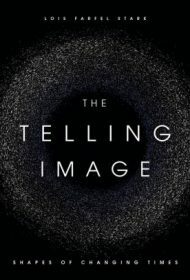 Stark, a former documentary filmmaker for NBC News, was trained, she writes, “to look for the telling image – a picture that gives “the essence of the story.” She brings her keen eye to bear on her hypothesis, offering examples of how shapes reveal a society’s orientation. For instance, she notes that the circular placement of Native American teepees and the ringed perimeter of the Masai’s settlements in Kenya reflect societies influenced by the sun and moon’s cyclical patterns. The living arrangement also indicates a connection to nature and equality and reliance between tribe members. Stark’s intriguing narrative examines five primary telling images that she believes “reveal the mindset of an era.” The web, which she often characterizes as a circle, is one. The others are the ladder, helix, network and torus, or “doughnut shape.” Stark places the web and ladder in the past, the helix and network in the present and projects the torus for the future. She supports her contentions for each shape with numerous high quality illustrations and photographs, and it’s easy to see how some of the shapes are pervasive within a culture (the idea of the ladder, for instance, is seen in the steps of a pyramid and the successive levels of a building). Some are less obvious: The helix shape, for example, doesn’t seem as omnipresent as Stark appears to claim. Another quibble: Stark states that “there are no straight lines in nature,” yet straight lines appear in some spider webs, snow crystals and the cleavage of minerals. These are minor issues in a distinctive work. Lavishly illustrated and thought-provoking, The Telling Image should appeal to anyone interested in the world of ideas and the shapes that reflect them.